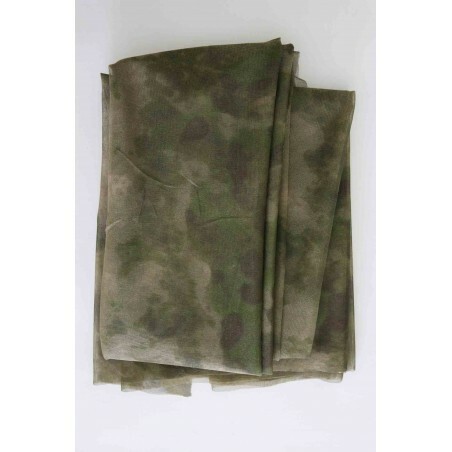 > Hank's Surplus Military A-TACS FG Camo Hunting Net Blind Ghillie Cover 55" x 96"
Hank's Surplus Military A-TACS FG Camo Hunting Net Blind Ghillie Cover 55" x 96"
Hank's Surplus A-TACS FG Sniper Veil. 55" x 96". Great use as camouflage concealment in wooded area with green and brown surroundings. Can be used as a bug netting. New condition. Size: 55"W x 96"H/ 4.5' x 8'. Can be used as sniper veil, hunting blind, bug netting or other other activity needing concealment or bug protection.